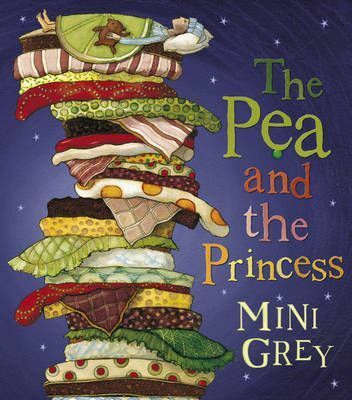 Everyone knows the story of the princess and the pea. But has anyone stopped to think about how the pea underneath the mattresses might have felt? No. So here, for the first time, straight from the pea, is the truth about this much-loved, oft-repeated fairytale. Once upon a time there was an enchanting fairytale about a prince who was looking for a real princess to be his bride. The only way to tell whether the many princesses who applied for the post were really royal, legend had it, was to see if they would be able to feel a tiny little pea through dozens of luxurious mattresses as they slept. Only the princess who emerged the next morning complaining of the extreme discomfort in which she had passed the night, could possibly be good enough to be the prince's bride ...All well and enchanting, but has anyone stopped to think about how all this might have felt for the pea in question? No. So here, for the first time, straight from the pea, is the truth about this much-loved, oft-repeated fairytale.